After four years of organizing led by retail janitors with CTUL, including marches, a 12 Day Hunger Strike, and three strikes in 2013, and after a year of dialogue between Target Corporation and CTUL members, Target committed to play a leadership role by implementing the industry’s first Responsible Contractor Policy. 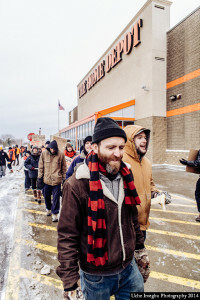 Yet, the companies that clean Target stores are not only ignoring workers’ voices, they are also ignoring Target by not respecting the new Responsible Contractor Policy. Workers still report having to work seven days a week, ongoing sub-poverty wages that take a toll on workers’ health, and no clear path to ensure workers’ voices. 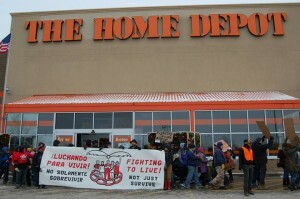 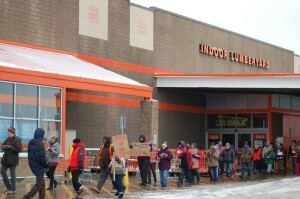 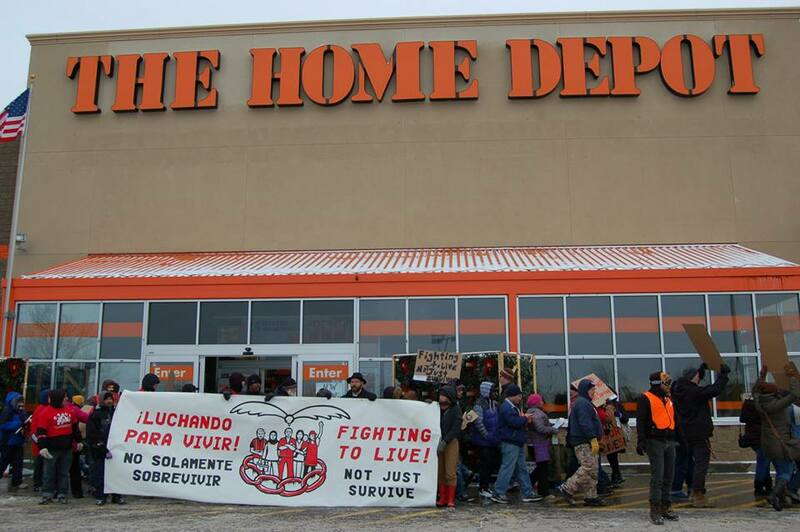 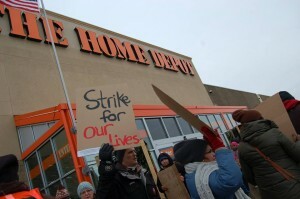 Since these and other large cleaning companies that clean stores in the metro area like Home Depot, Sears, Kohls and others continue to pay poverty wages and refuse to take workers seriously, workers at four cleaning companies walked out on strike on Black Friday, Nov. 28, 2014: Prestige Maintenance USA, Carlson Building Maintenance, Kimco Services and Diversified Maintenance Systems. 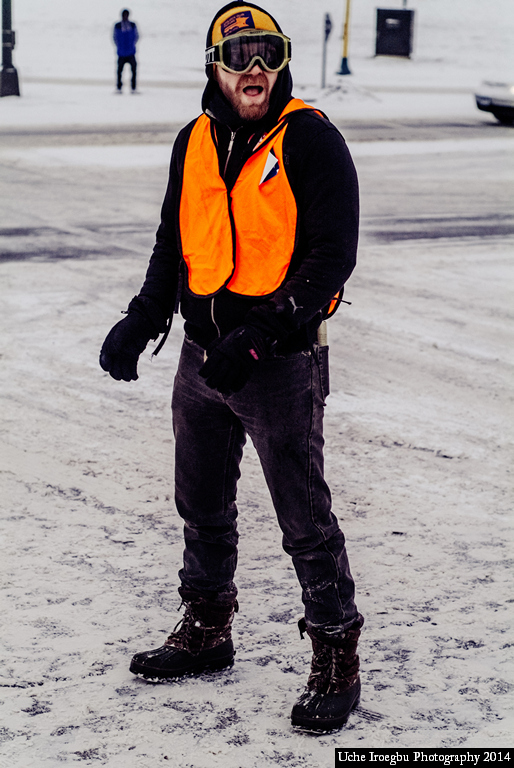 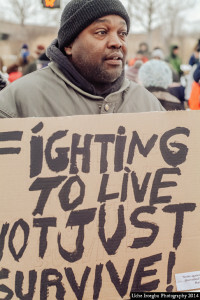 Thank you Uchechukwu Iroegbu for the incredible photos! 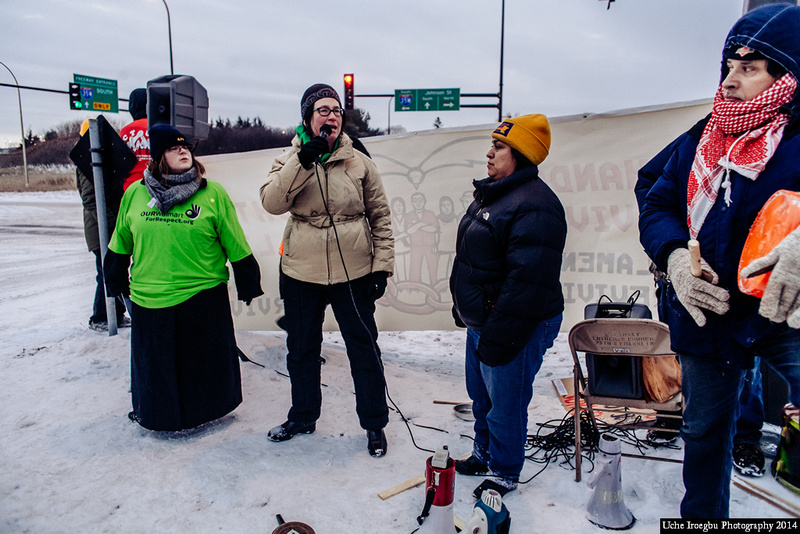 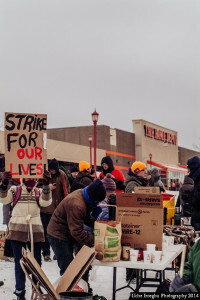 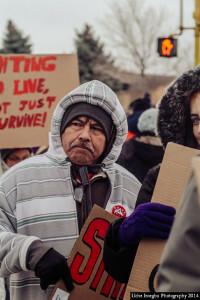 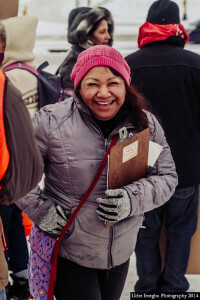 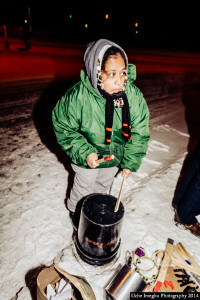 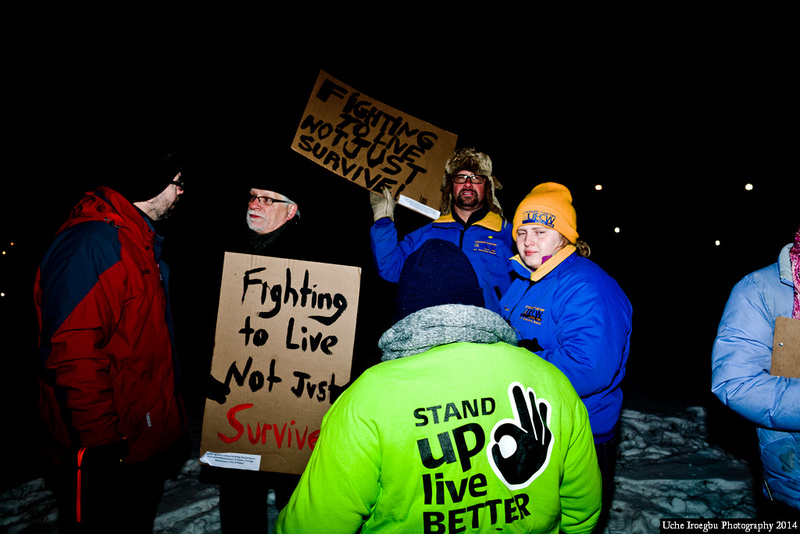 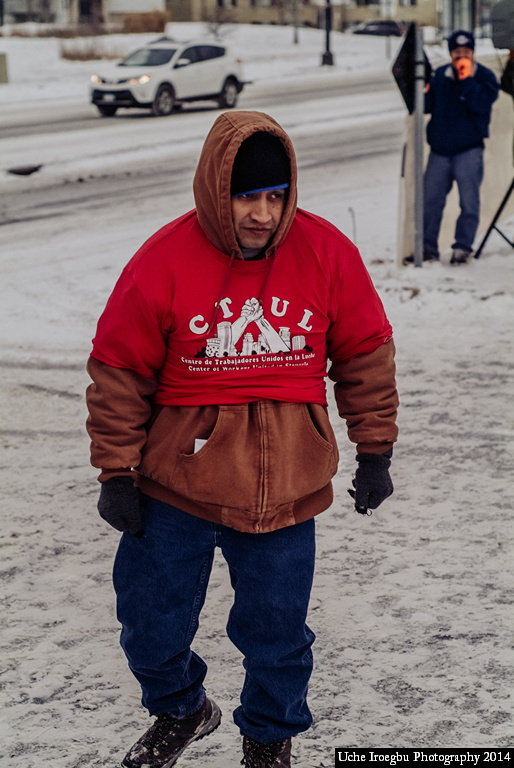 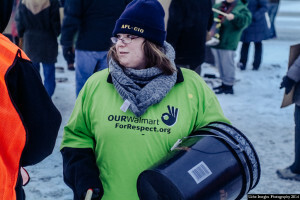 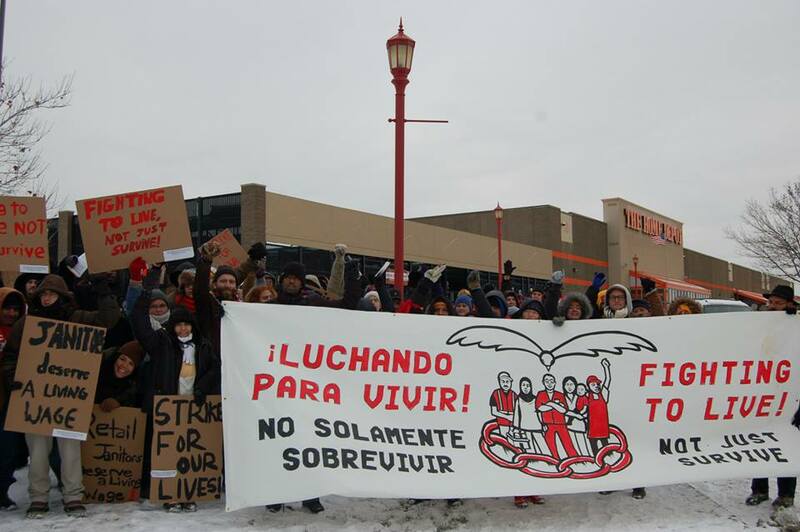 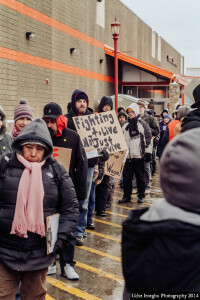 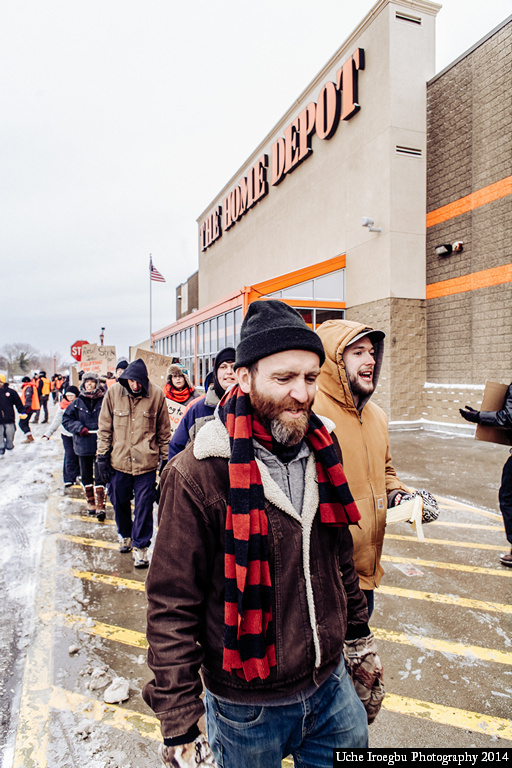 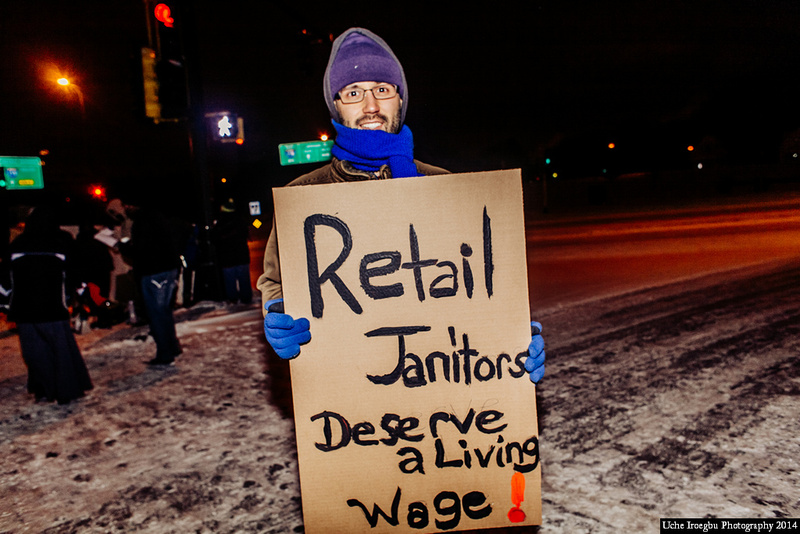 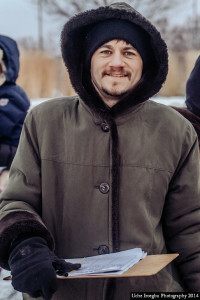 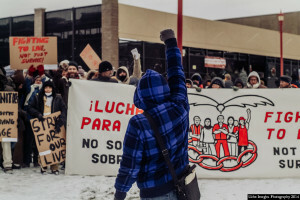 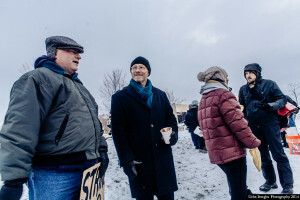 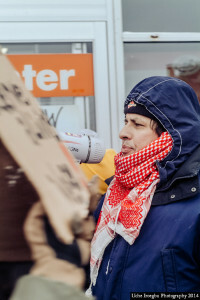 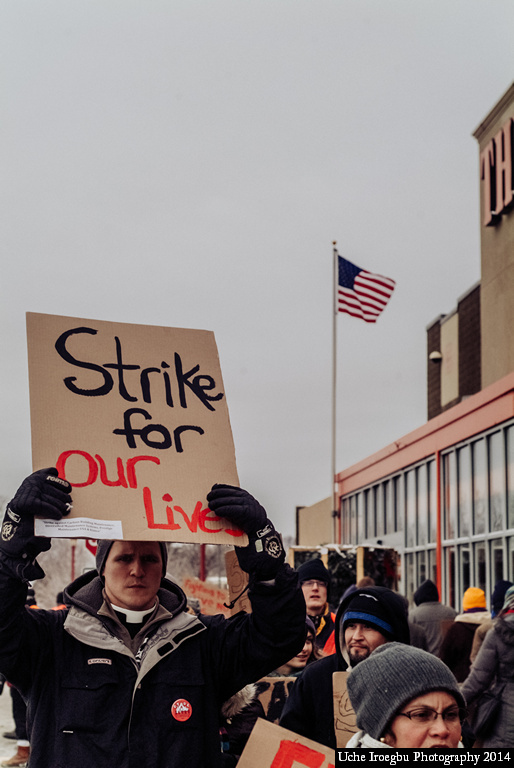 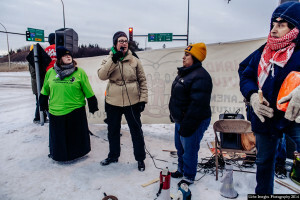 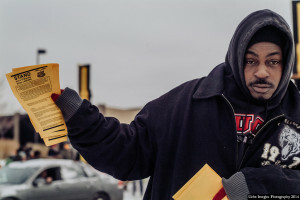 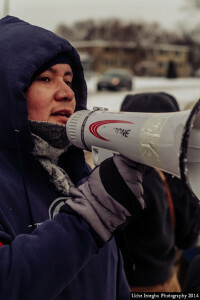 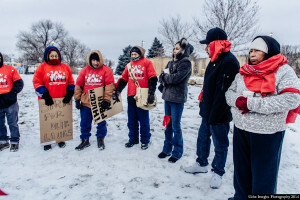 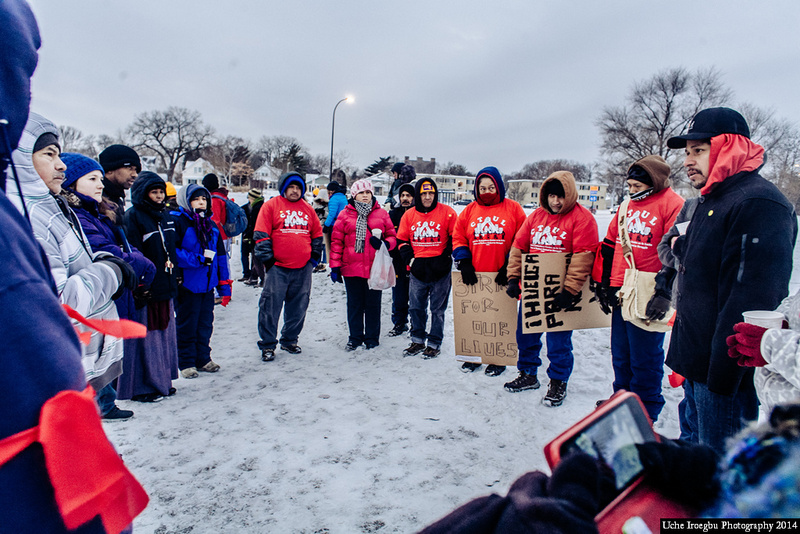 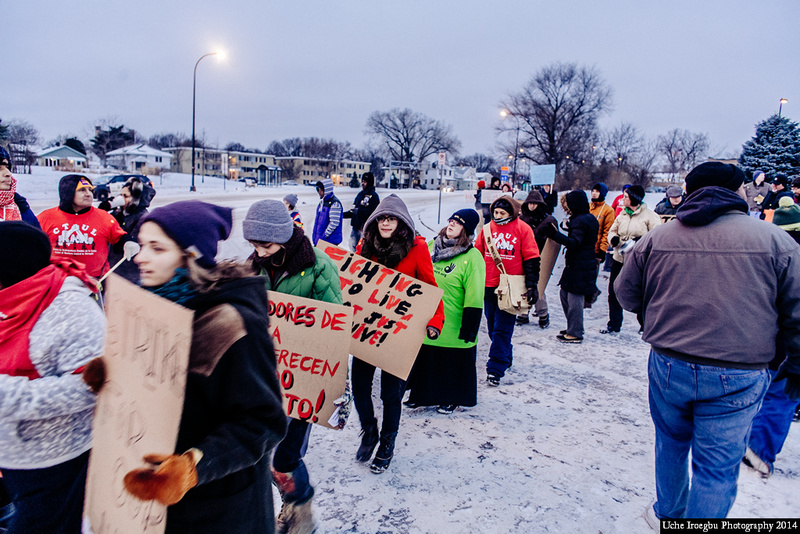 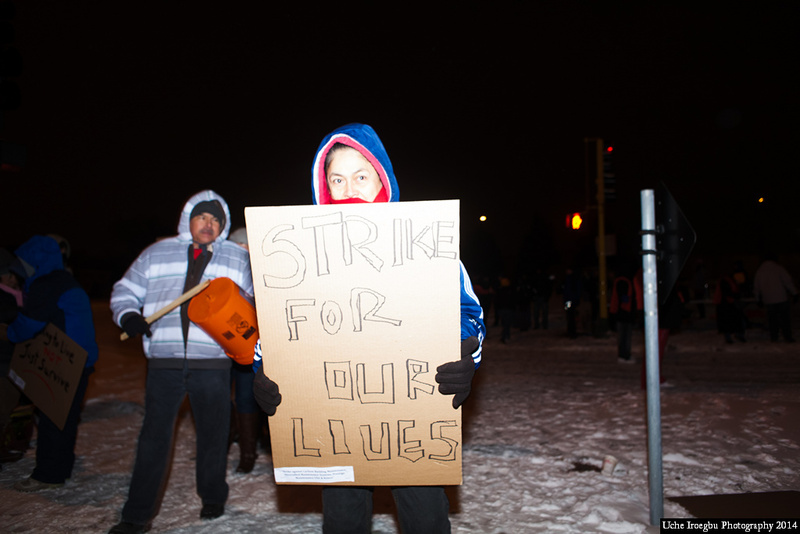 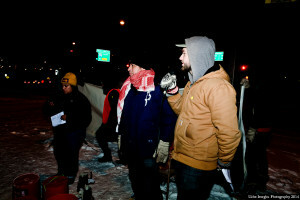 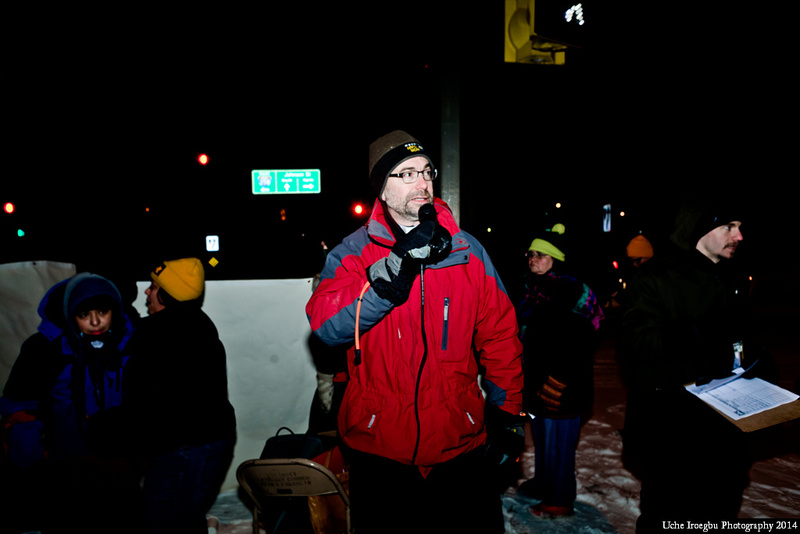 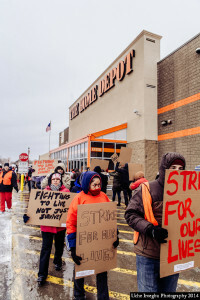 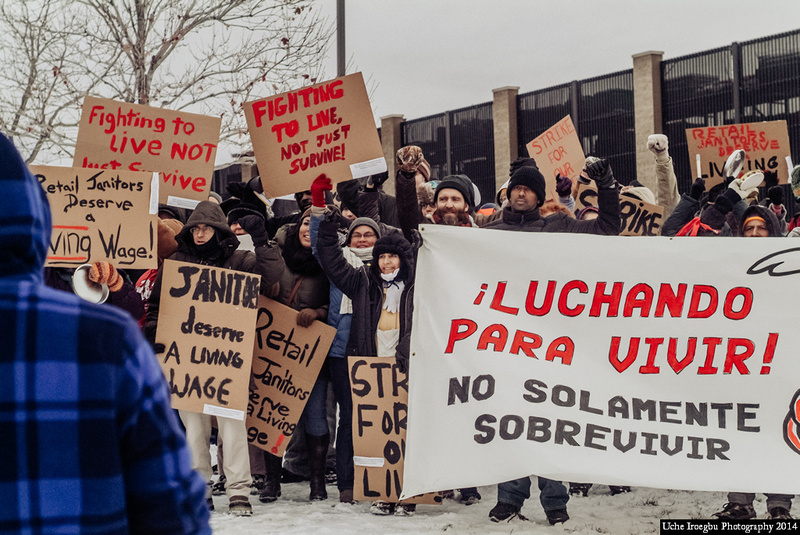 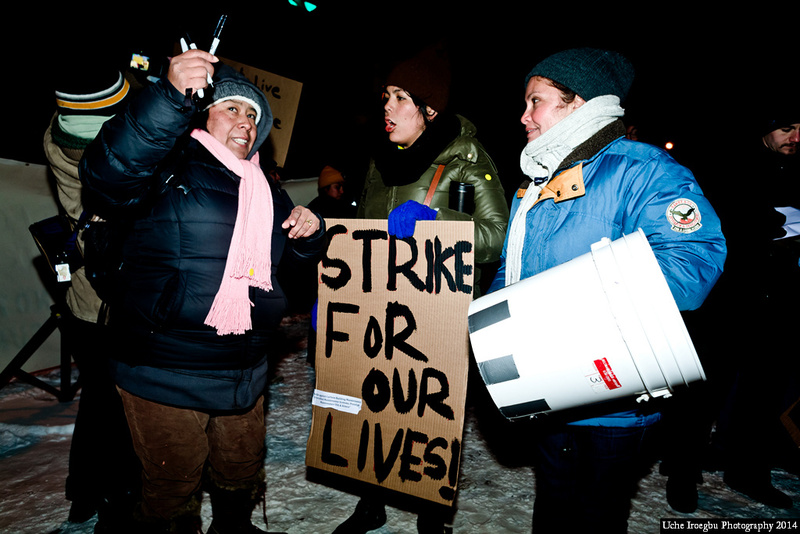 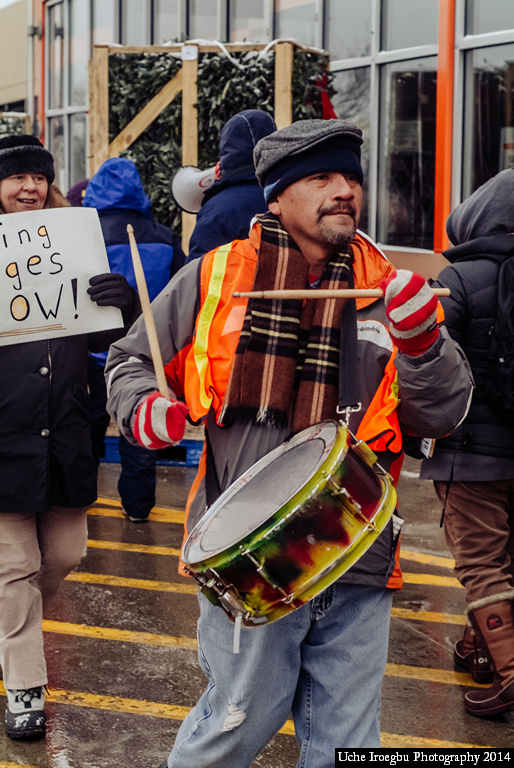 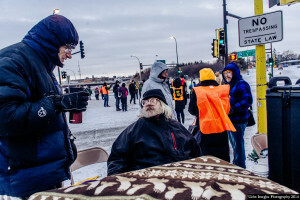 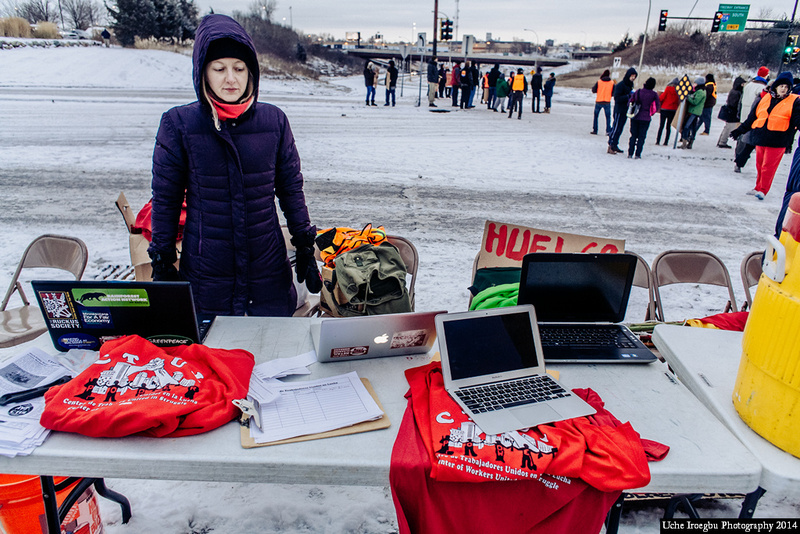 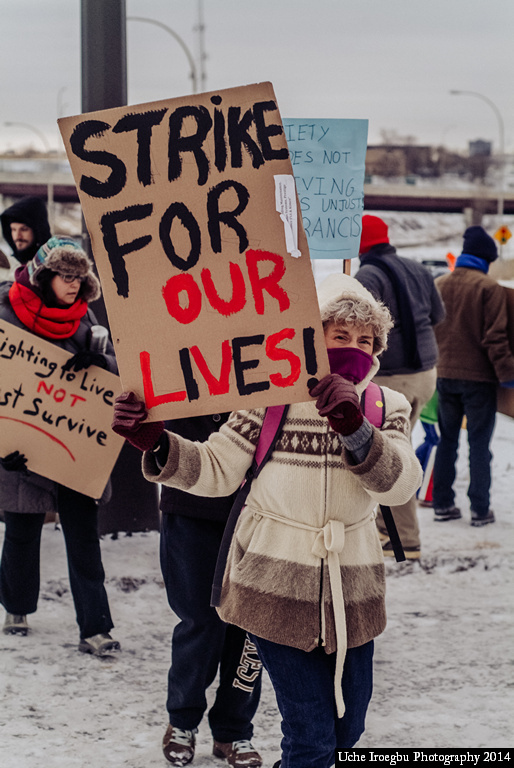 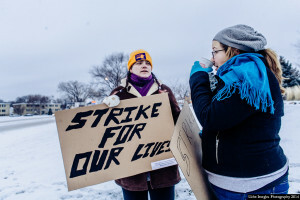 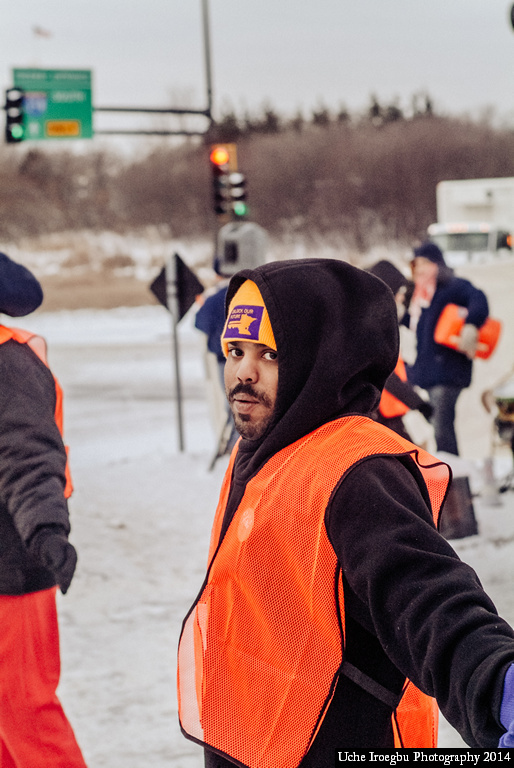 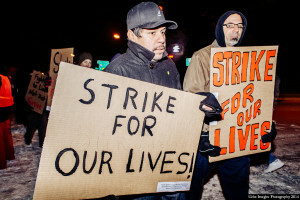 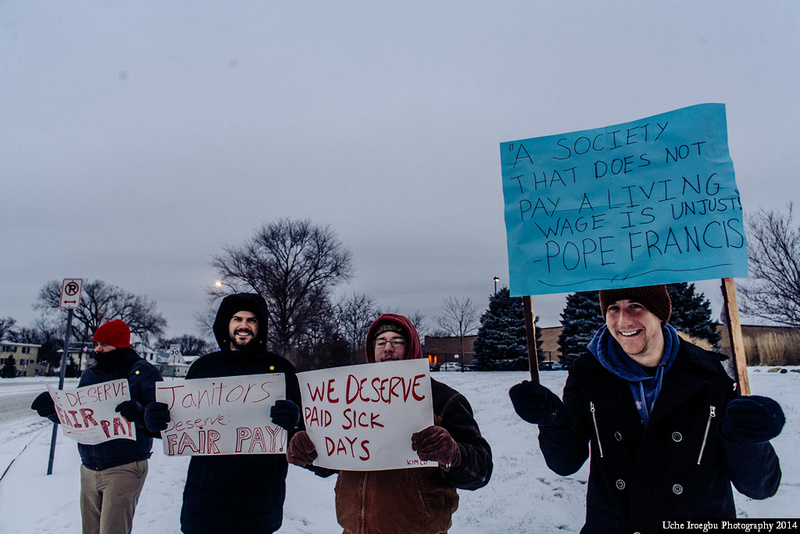 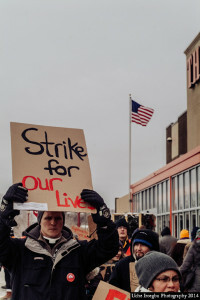 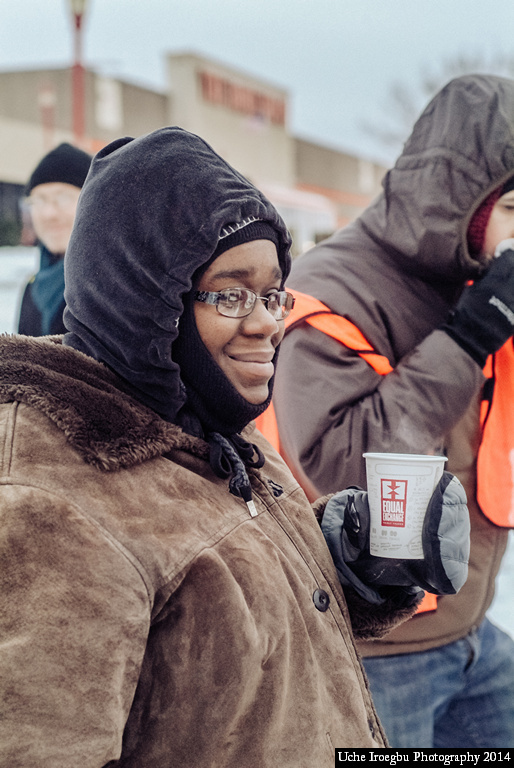 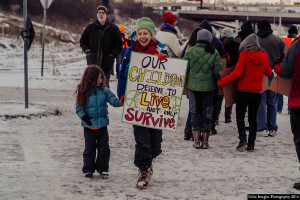 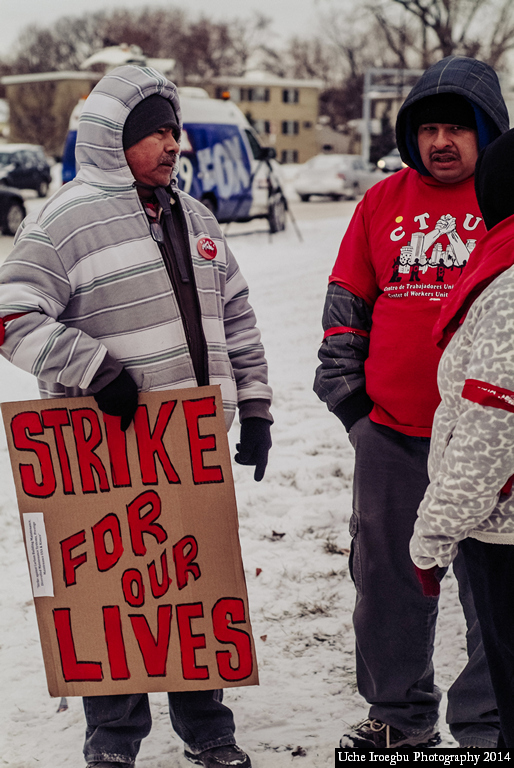 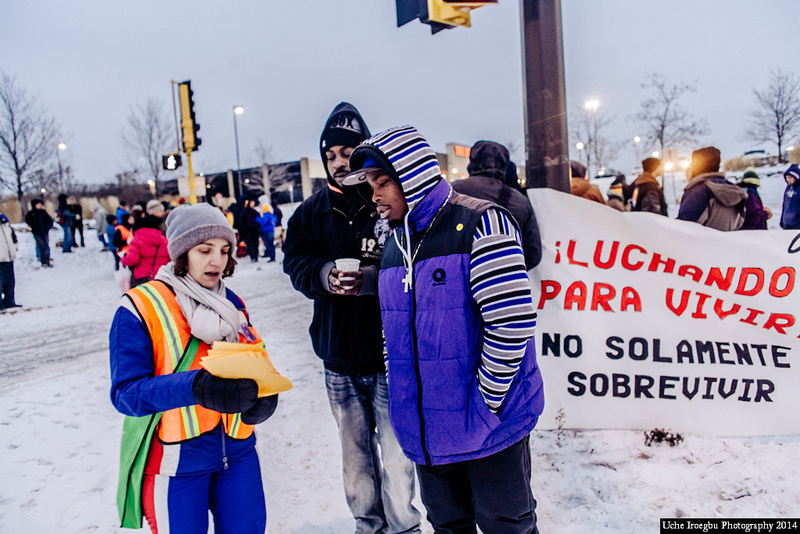 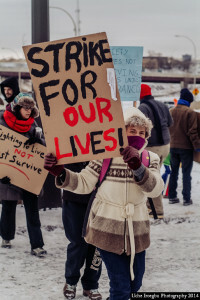 Over 200 allies braved to cold to stand with retail janitors from over 50 stores in the Twin Cities metro area who walked out on strike against cleaning companies. 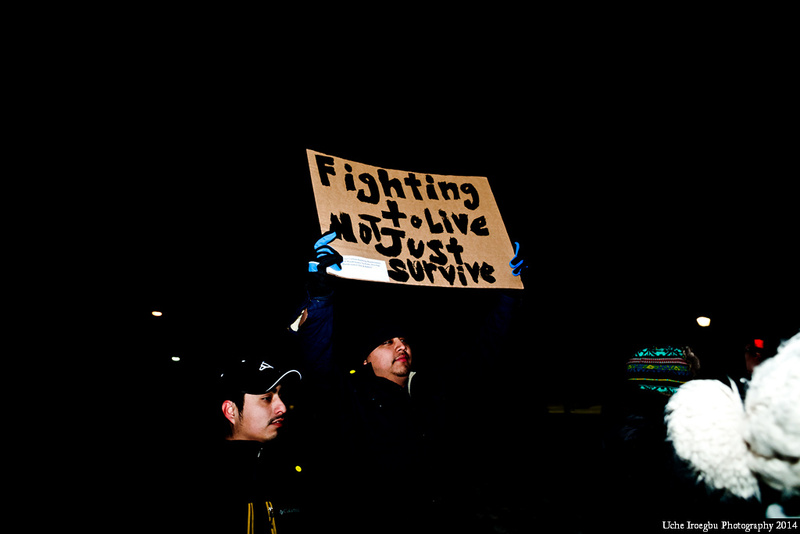 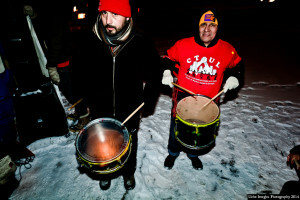 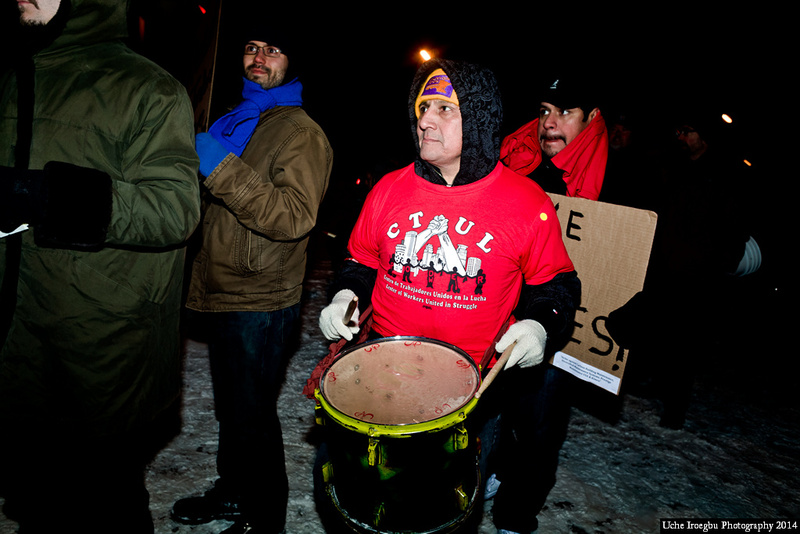 Picket lines started bright and early at 6am, with plenty of drums and lots of creative signs. And the picketing continued for three hours, sending a loud message to cleaning companies that it is time for this industry to change!